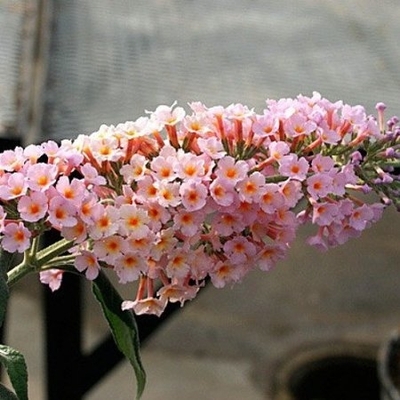 Both fragrant and stunning, this Butterfly Bush produces peach blooms with silvery foliage. Great for attracting beautiful wildlife to the garden. PPAF (Buddleia) Mature Height: 48-72 inches. Hardy Zones 5-9. Immediate shipping in 4" pot.